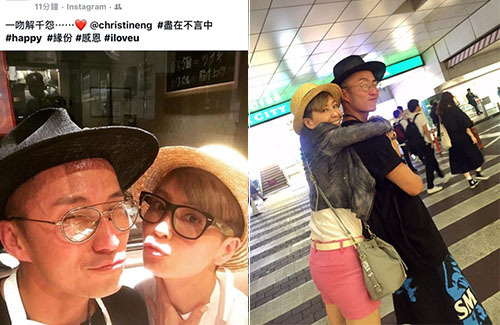 A drunken night and a stupid mistake tossed Christine Ng (伍詠薇) and Joel Chan’s (陳山聰) friendship to the gutter. In 2011, during a birthday party, Joel was dared by his friends to call Christine and tell her that they were no longer friends as a practical joke. When Joel told Christine to never find him again, Christine didn’t appreciate the joke and ended their friendship immediately. Joel had apologized to Christine on multiple occasions, but she never changed her mind. But good friends are hard to come by, and fate eventually led them back together. A few days ago, Joel updated his social media with a surprising message—that he and Christine have truly become friends again. Their friendship was rekindled in a trip to Japan. Their meet up in Japan was spontaneous—Joel was there for a marathon, while Christine was there on vacation. don’t like both of them.